Taking time to put the garden to bed at the end of the growing season can make all the difference the following Spring. Debbie Breck, Buncombe County Extension Master Gardener volunteer, will present and discuss the many tasks mountain gardeners should consider when it comes to preparing our gardens for their long winter’s nap. Our presenter has been a Buncombe County Extension Master Gardener volunteer since 2012. During that time she has co-chaired the Speakers Bureau and currently serves on the Steering Committee. What about winter garden critters? Time: Please come a few minutes before the presentation starts which is at 9:30 a.m. 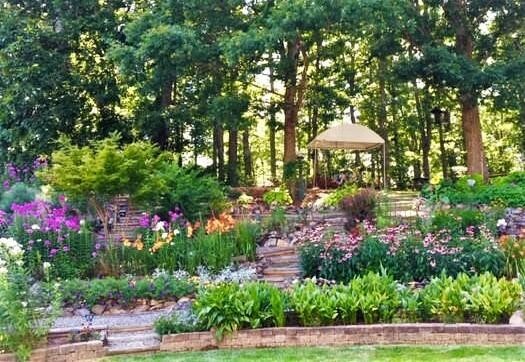 Membership: If you are interested in becoming a member this garden club, click here to see our About Page for details. We truly welcome you to our friendly and diverse group. To keep up with new information posted on this website, go to the front/home page by clicking on our club name or banner image on any page. Scroll down on the left black column and fill in your email address in the space provided. Each time a new post is added, you will get an email, (not each time a post is updated, though).